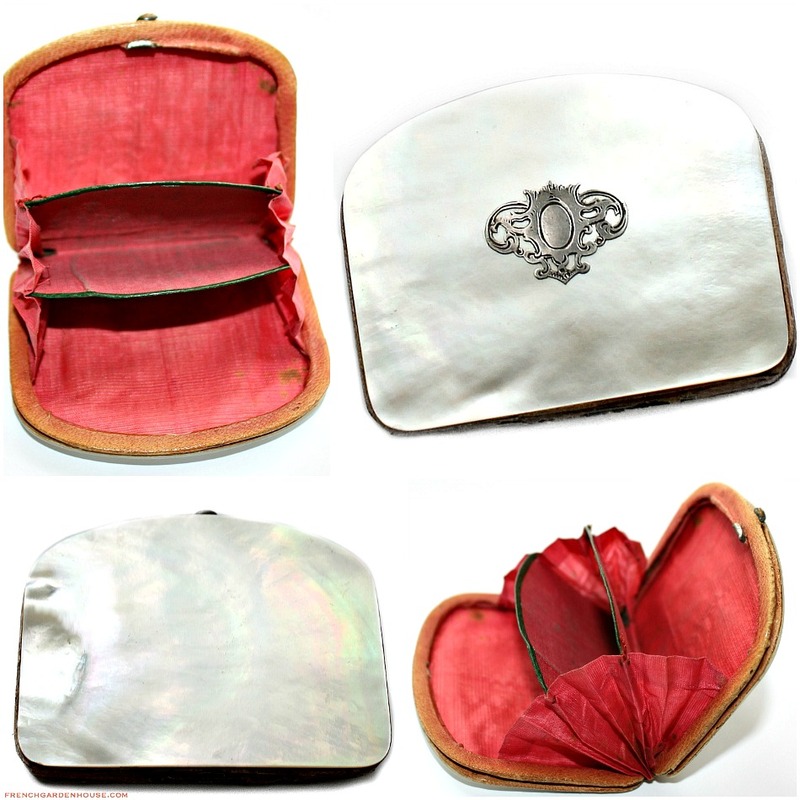 Remarkable mid-19th century French treasure, a collectible coin or change purse with covers of slightly convex mother of pearl shell, adorned with a decorative sterling silver shield. 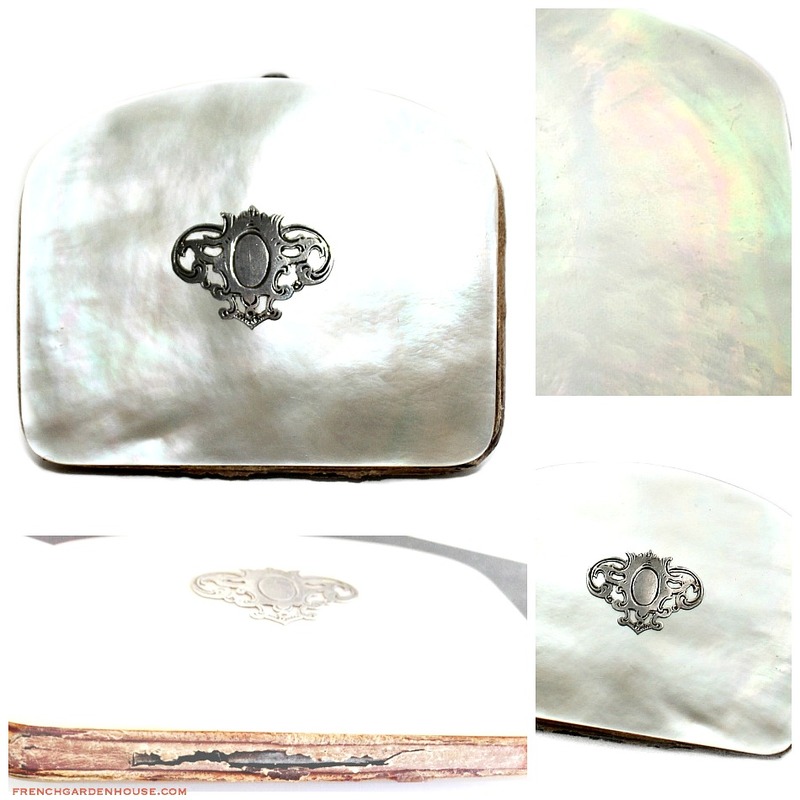 Mother of pearl, also know as nacre, has exceptional high pearlescent shimmer, it is a beautiful material formed by the inner lining of the shells of oysters. 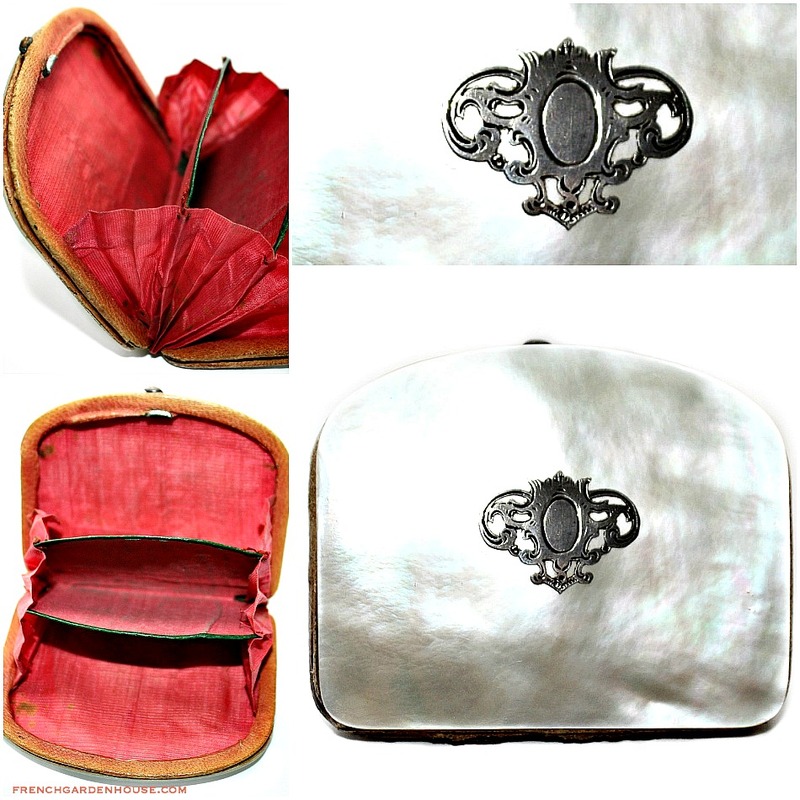 It's amazing to find a piece like this from the mid 1800's in this condition, the inside red silk lining is in wonderful condition for the age of this piece. Cherised as part of a prized Grand Tour Souvenir collection, the two cover panels are each made of mother of pearl, I hope that my photos have done the glowing colors present in this justice. Inside, what was once red leather has faded. 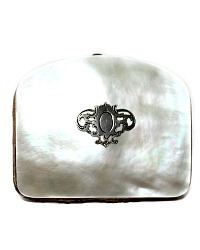 The closure is a small copper button that depresses nicely to reveal the three fabric compartments. If you collect one of a kind antiques from the Grand Tour period as I do, you will love adding this beatiful treasure to your collection. Measures 3" x 2~1/2" x 3/8".